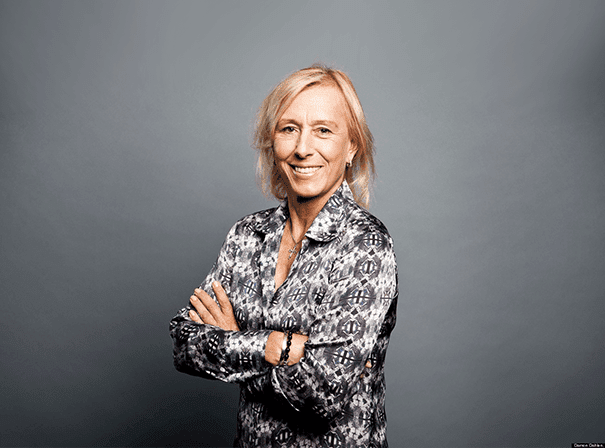 Martina Navratilova is one of the most recognisable and accomplished tennis players of her generation. In all she won an impressive total of 59 Grand Slam Titles as well as no fewer than 18 Singles Titles. Martina continued playing mixed doubles until a late age and picked up her final Grand Slam mixed doubles crown shortly ahead of turning 50. A true and honest character who has always spoken form the heart, Martina is known as a courageous, confident and honest person who undersells her own skills and has never shied away from controversial topics: if she believes in something she will stand up for it no matter what. After retiring from the game of tennis Martina has helped many charities such as those that fight for animal rights, gay equality and also underprivileged children. She has become a popular sporting celebrity since retiring from the game and as such appeared on ITV’s “I’m a Celebrity Get Me Out of Here!” in 2008 as well as many other TV shows on the BBC. Though she was born in Czechoslovakia, Martina requested political asylum in the States aged 18 and was granted it, coming a full US citizen before recently having her Czech citizenship restored. Now living in Florida, Martina globe trots regularly to deliver inspiring and motivational speeches as well as attending Tennis Grand Slams around the world, where she is a valuable and key pundit. She also works as a broadcaster for the Tennis Channel, BT Sport and BBC and in December 2014 took on a coaching role for Agnieszka Radwanska. A published author who has written “Shape Your Self” which was a guide to health and fitness, she also writes incredible speeches and mystery novels including The Total Zone in 1994, Breaking point in 1996 and Killer Instinct in 1997.